The Merits of Labelling Your Life! [Sheldon Cooper is] like a savant at organizing. Everything in his apartment has a label on it. Including his label maker, which has a label that says label maker. And if you look really close at that label maker label, you’ll see a tiny label that says label. The Big Bang Theory is brilliant. Some seriously great writing. This is probably my all-time favourite quote, about Sheldon’s obsession with labelling stuff. I have the same obsession. Back when I was little we had one of those embossing labellers, and I would painstakingly rotate the wheel for hours, labelling my crayons green, or blue, despite the fact that adding a label clearly didn’t really add anything to my ability to discern the green crayon from the blue. It broke eventually, probably through exhaustion, but ever since I’ve kind of thought I’d love to buy myself a new one. This has always been one of those things I’ve kept to myself. A slightly grubby secret, like the fact that I actually like chicken flavour Supernoodles. Bad, right? 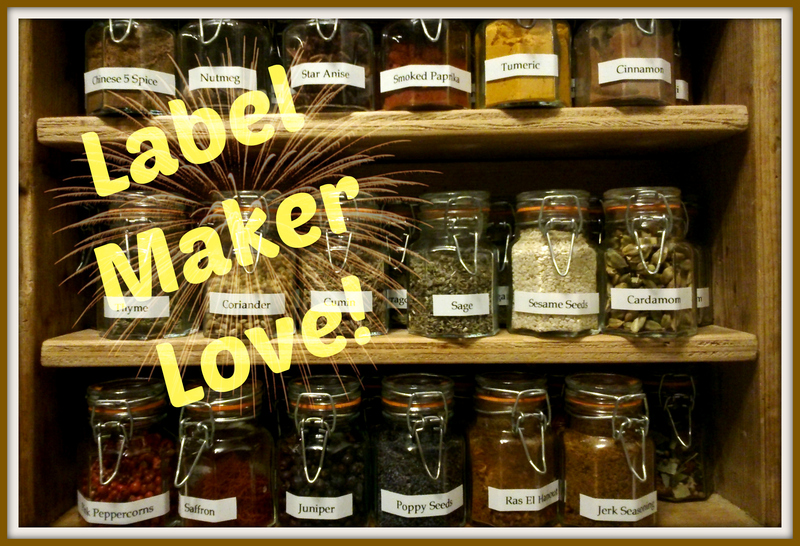 However, in having a squizz around the blogosphere, particularly blogs of the crafty type, not only has my love of crafts been resurfacing in a big way, but I realised that I am actually not alone in my label-obsession. 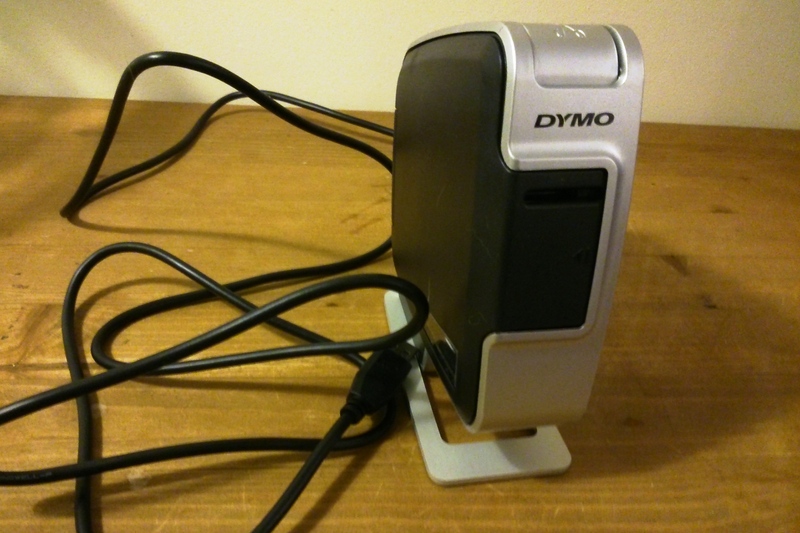 In fact, if the number of blog posts about loving labelmakers is anything to go by, not only is it now socially acceptable, it’s practically en vogue. 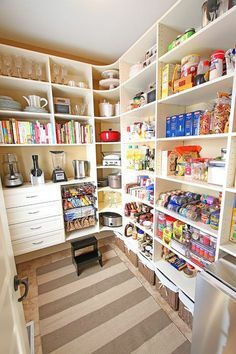 I spent a good hour or so lusting after the beautifully organised wardrobes, kitchen pantries and filing systems. I especially loved Liberty London Girl’s attempt to label her sausage dog which proved unsuccessful. I then realised it was in fact payday and I could treat myself to one! Cue another hour searching the web for the best deals. 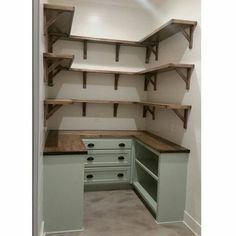 My first task was my spice rack. 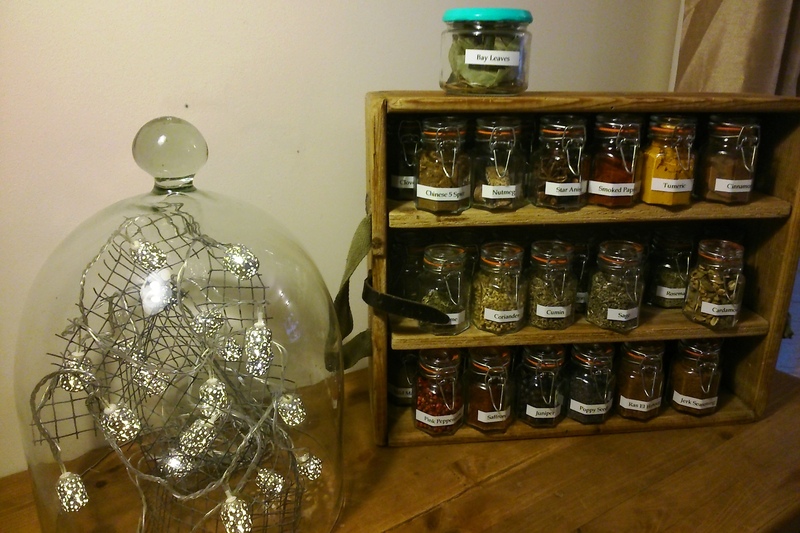 I made this a couple of years ago from an old ammunition case I found languishing in a shed on my parents’ farm, cleaning it up, sanding down and waxing and adding some shelves, and then bought a job lot of jars on eBay for my huge herb and spice collection. Labelling them was a bit of a pain though, and in the end I opted for chalkboard pen. 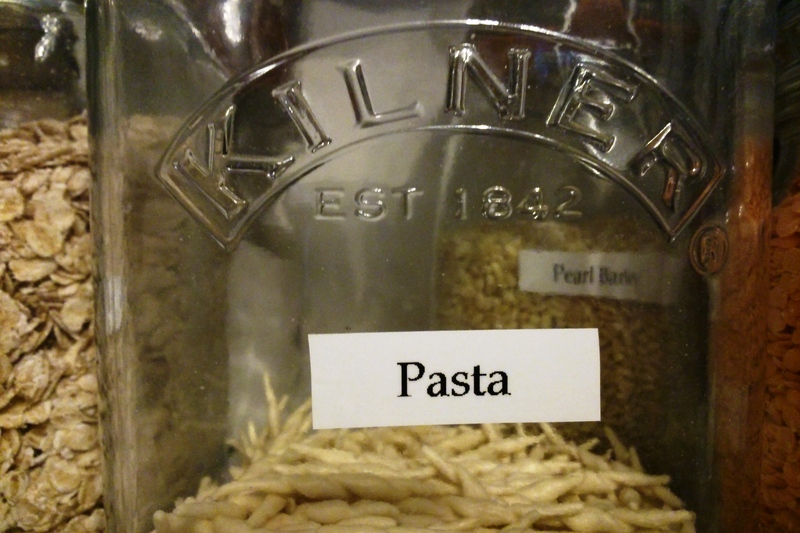 This lasted a year, but had pretty much rubbed off recently, which didn’t bother me too much as I can generally tell what I’m cooking with by smell, but was rather confusing my housemates who don’t cook quite so often. 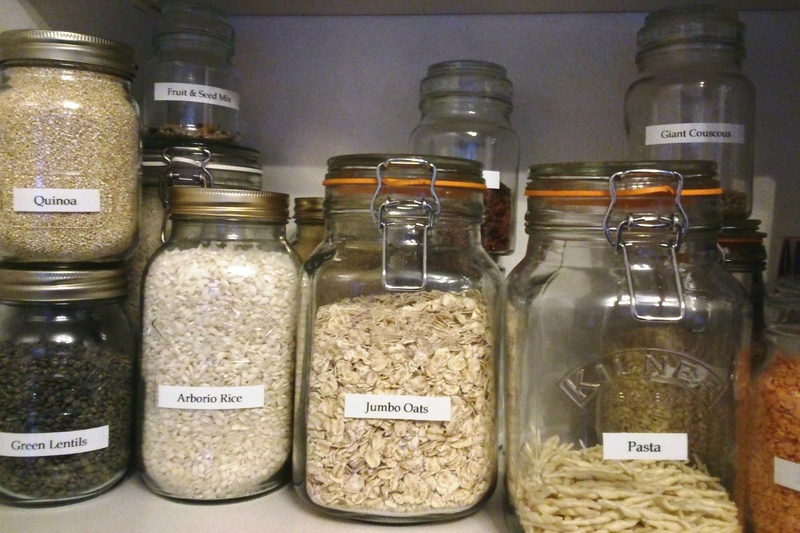 I spent an hour excitedly labelling jars and was over the moon with the results. 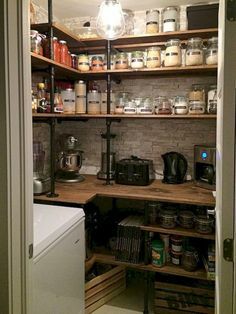 Next stop was the ingredients’ cupboard. One day I’d like to have all matching jars, but for now I kind of like the mismatch! 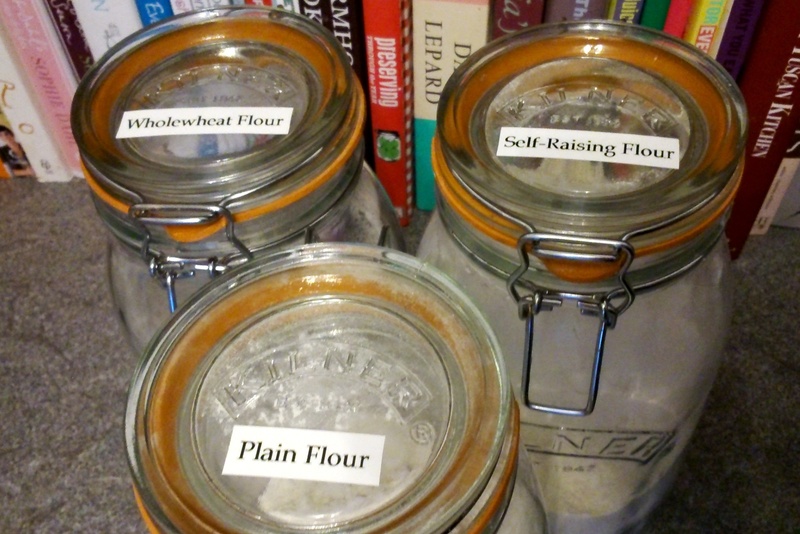 Finally baking ingredients, and no more mixing up my flours! I was half way through printing labels for my sugars when the 3m tape (which I had thought would be plenty), ran out, leaving me with “Caster Sugar” and some “Granulat”. I will have to wait until my refill tape arrives on Monday to continue my label-fest, which is probably just as well. 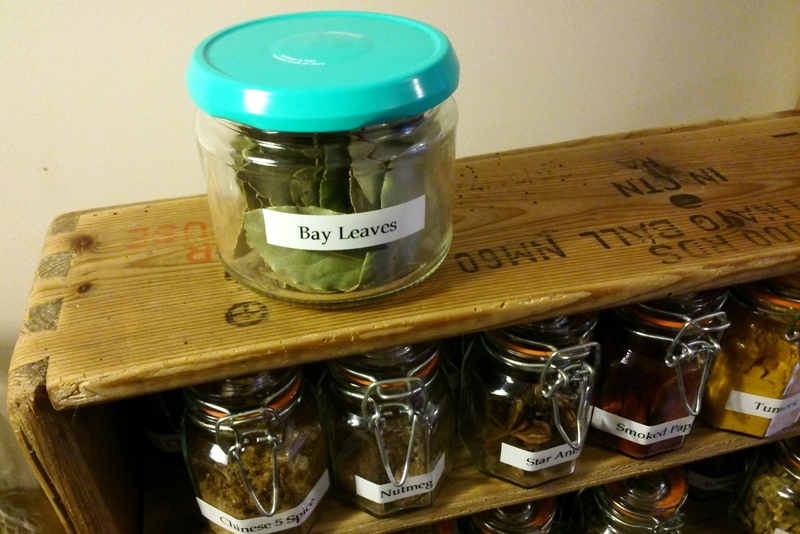 The hiatus stopped me labelling everything in the house. I tried the dog label too, but the “pug” sticker just wouldn’t adhere to the pug, and Billy got very upset when I tried to stick it on him instead! It seems even my boyfriend is realising how useful a label maker can be! I intend to label all the plugs in the house, so no more unplugging the wrong thing, as well as the ends of USB cables so they’re easily identified. My filing system is going to get an overhaul too, and I might actually organise my rack of PhD notes too! I’ve also got ideas for numerous craft projects to do, especially some greetings cards which I’ve seen on Pinterest. If you too are a neat-freak or into crafts, you need one of these things in your life. Buy now. You will not regret it…..your dog might. All suggestions for other things for me to label will be gratefully appreciated, by me and my pets. So so sorry! I must have been reading the various posts too quickly and confused yours with one post which got the same gadget from Brother. I have edited the post to remove all reference to them, and sorry for the very rookie mistake! Hey Anna, I really appreciate that. And I totally get your point: with so many bloggers doing the naughty and ahem, forgetting, to mention lovely gifting, it can be hard to sort the good from the bad. I buy my labels from KTWO who i just found out have recently changed their name to Busyb http://busyb.co.uk/store/products/labels They are cute and girlie. Your machine just ain’t pretty enough for me 🙂 your labels may be practical but they are lacking beauty. So in the words of the dragons “I’m out”. They are very pretty!! 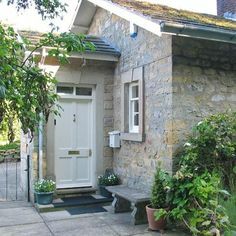 But I’m a clean lines kind of girl, I kind of like the simplicity! 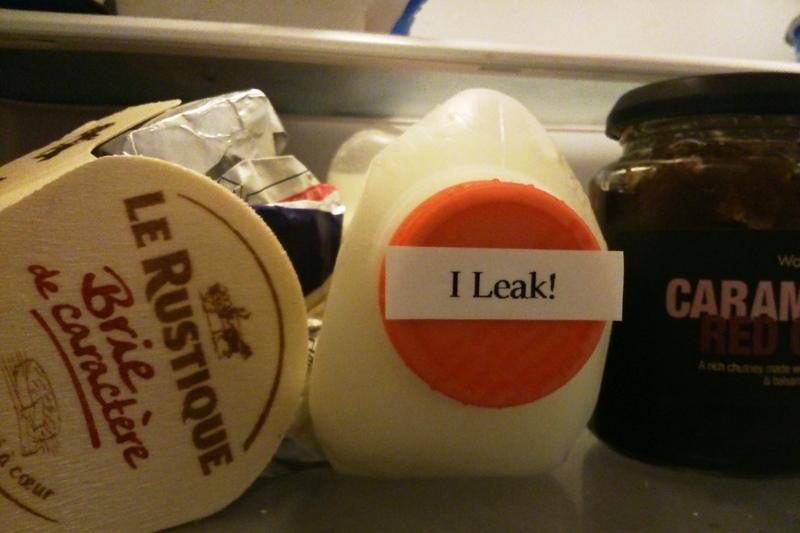 But now I might have to think of some other things requiring more elaborate labels!! Love it Anna! You’re so organised, you’re putting me to shame. 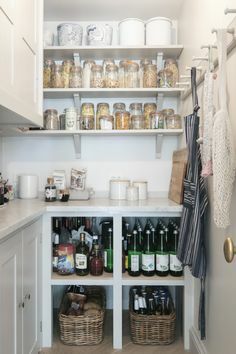 I need a spice rack like that, just need a bigger kitchen first!! 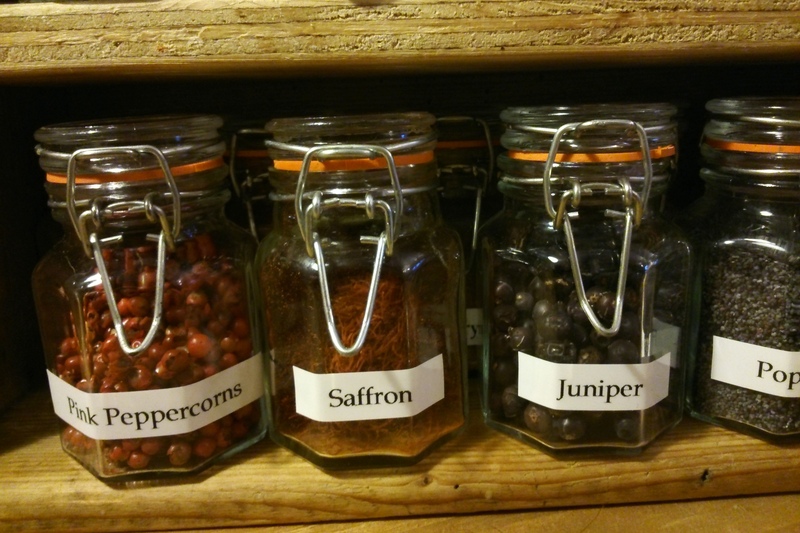 Hmm, well the kitchen is organised, but my office….well, that’s a task for next weekend I guess! Might help with the PhD work to sort out all my papers too! Ha ha! Sheldon lives and his name is Luciana! 🙂 I have not used mine in a while, am sure there are more things to label, must have a look at the weekend!